Paolo Barbato more than 30 years behind the decks and a whole life dedicated to the world of music. Paolo Barbato is internationally recognised as one of the leaders of Italy’s electronic and house music scene. For 12 years he has owned the most important record shop in the whole North-East of Italy, which served djs from that area, as well as from all Ex-Yugoslavia and Austria, he totally dedicate himself to the production from 2002. He can be defined a pioneer of house music because he surely has followed it in its whole evolution, from the origins to nowadays, an experience that gives him an irreplaceable esteem in the scene, both as dj and as producer. He preserves that fresh and insatiable curiosity that pushes him to a constant search of what the musical panorama hides sometime in the undergrounder channels, waves that he hurls on the dancefloor of clubs disseminated all around Europe, from London to Ibiza, from Italy to the Eastern Europe, as his legendary residency at the Ambasada Gavioli, one of the reference club for underground music in Europe. Paolo Barbato at the beginning of 2008 he started a collaboration with various international musicians and singers, producing high quality sounds and characteristic videos that will probably place him on top of global dance scene. Hosted by radios as Proton (U.S.A.), Ministry of Sound (U.K.) with his video he has been for weeks on the 4th place of MTV’s Dance Floor Chart. 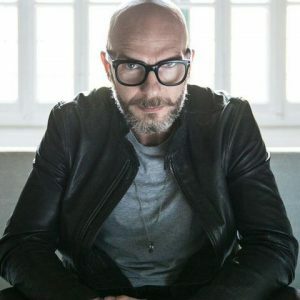 He released several productions for some of the coolest labels in the house scene and has supported many of the most relevant djs in the international panorama. Among his mixed compilations, a special limited edition for the prestigious brand Illy Caffé, and last but not least, he does soundesigning for fashion brands and exhibitions.